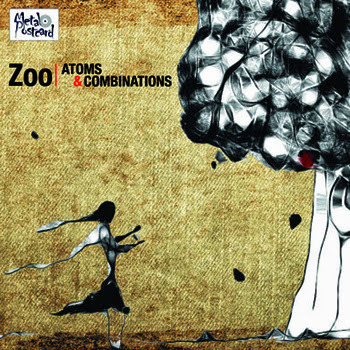 The chemical allusion of the title ‘Atoms & Combinations’ allows me to expect that Zoo’s music is going to be an ethereal, atmospheric yet powerful experience to listen and really get your head into. Zoo’s music can be described as a union of experimental rock and trip hop – a strong balance between organic and natural elements, and electronic quirks. The band has proved that their beats and instrumentals are the authority, and the vocals, a great asset. Minimal breakbeat patterns and a subtle post-trance instrumental make ‘Atoms & Combinations’ (Track 6) fit it’s name. Lyrically speaking about space and sound, going heavier on the rock elements and experimenting with textures really propels their title track to number #1. ‘In Time’ (Track 3) takes references from electronic, pop, and soul and transforms all of this into an elegiac ballad with an almost melancholy and cinematic quality. On the other hand, we have ‘Centrifuge’ (Track 7), a sparser track that focuses on electronic effects, whispering vocals and eventually turns into a climactic armageddon of sound. A great way to end the album. All in all a nice spread and variety of tracks and sounds that create different landscapes in a listen. The band dips into familiar zones and new territory and that’s what makes experimental music truly experimental.